Foreclosures: Predicting Housing Market Health? Yet another round of speculation about foreclosures is making real estate market news, as housing industry trend watchers seek explanations or the mixed map of foreclosures — the number of foreclosed properties hitting the market in some states has dropped significantly in the last year or so, while in others, rates have gone up. Foreclosures and short sale statistics provide important clues about the health of the housing industry, so understanding the reason behind these apparent contradictions can help to create a more complete picture of the US housing recovery. In some regional markets foreclosure rates have dropped significantly – but in others, it’s begun to climb – a phenomenon that has a direct impact on the extent of the housing rebound in those areas. One reason for the disparity has to do with how individual states process foreclosures. In a number of recent posts we’ve explored the reasons for the irregular waves of foreclosure properties hitting the market – and one reason for the slow processing of the backlog of foreclosure cases. In some states, such as California, foreclosures are accomplished relatively quickly, while in others, including Florida, the process can take an average of 850 days. Why the difference? The foreclosure process is left up to state law, with some states requiring a court order for foreclosures and others leaving the action up to the lender. 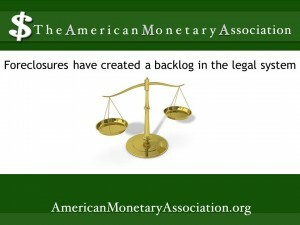 Judicial foreclosures, practiced in states such as Florida, Illinois and Georgia, require court processing, and that accounts in large part for the higher foreclosure rates in those states – the courts are still working through pending cases from earlier foreclosure actions. In these states, when a mortgage holder defaults, the lender is required to file a complaint with the courts. The homeowner is then notified and given the opportunity to challenge the complaint. If the court finds for the lender, it issues a judgment against the homeowner and orders a writ of sale at auction, where the highest bidder takes the property. Needless to say, the process goes much faster in non-judicial states, where the foreclosure process takes place according to state statutes, outside the court. In these states, when a default happens, the homeowner is notified by letter that the default must be cleared. If the homeowner is unable to take care of the payments, a notice of sale will be mailed to them and posted with the county recorder’s office and in public notices. After the required waiting period has passed, the property goes up for sale at public auction. 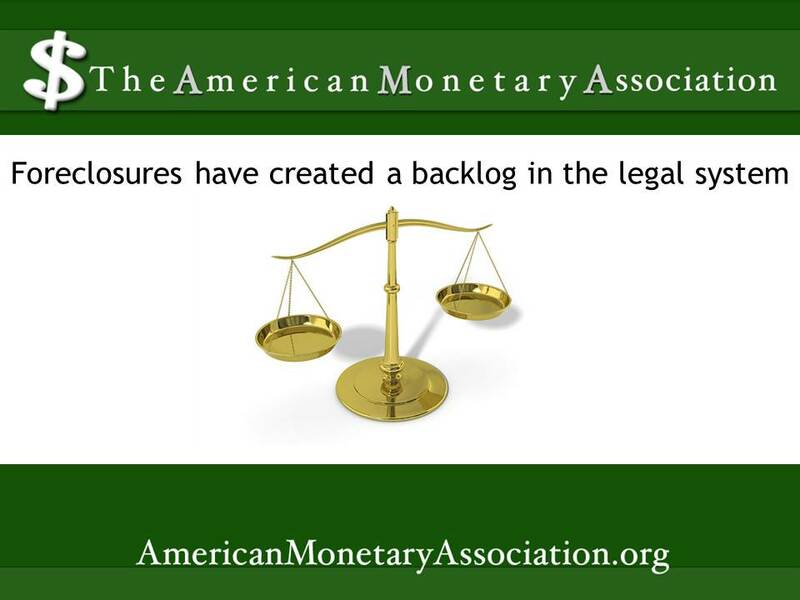 This disparity in processing time means that in states that bypass court actions, foreclosures are being processed in half the time, allowing these areas to clear the foreclosure backlog earlier – which in turn allows the housing markets in those states to rebound earlier. But in states where these foreclosure cases from the original cycle of defaults are still struggling their way thorough the legal system, those that are currently clearing are hitting the market in numbers large enough to drive up the foreclosure statistics and slow down the housing recovery in those areas.